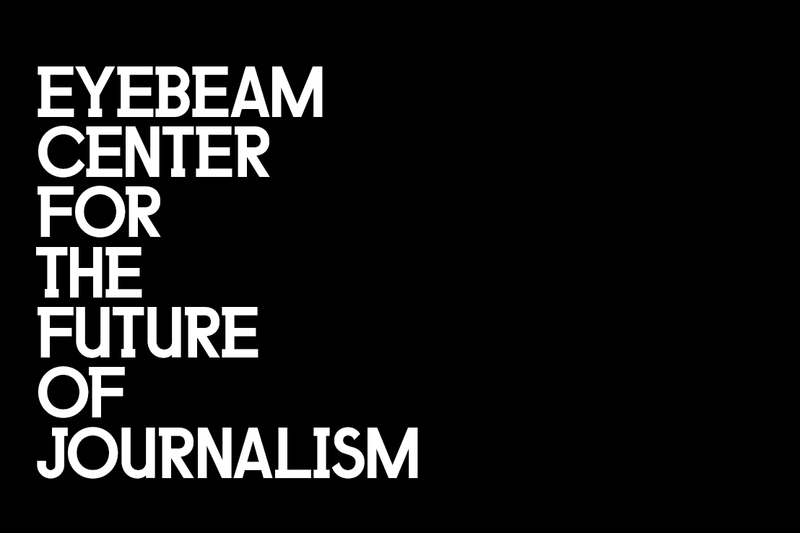 NEW YORK — Eyebeam is pleased to announce the launch of the Eyebeam Center for the Future of Journalism (ECFJ), a groundbreaking grant-making program that supports artists producing innovative and revelatory journalistic work for major media outlets. Marisa Mazria Katz will assume the new role of editorial director and oversee ECFJ. Mazria Katz, a journalist and recent Kickstarter Fellow, began her work with Eyebeam as editorial producer. Previously she was editor-in-chief of Creative Time Reports, an editorial project of the New York public art non-profit Creative Time that featured artists’ perspectives on the news. During her six-year tenure at Creative Time, she produced pieces with artists such as Sophia Al Maria, David Byrne, Mel Chin, Molly Crabapple, Trevor Paglen, and Boots Riley, and partnered with major publications, including The Guardian, The Intercept, Al Jazeera and Foreign Policy. Eyebeam provides both space and support for a community of diverse, impact-driven artists. The residency program brings artists’ work to life and into the world by providing access to advanced tools and resources and launching dynamic public events, assisted by an engaged community of alum. The Eyebeam residency program is supported in part by the National Endowment for the Arts, the Cultural Development Fund of the NYC Department of Cultural Affairs, the Jerome Foundation, and the Atlantic Foundation along with the generosity of Eyebeam’s family of individual givers. For any media-related inquiries, please contact: Maddie Pinney [email protected].